Deposit £20 and receive a 100% matched Sportsbook bonus and £30 casino bonus. Deposit and bonus amount held as bonus funds until the bonus wagering requirement of 5 times the deposit and bonus combined. Customer has 10 days to complete wagering requirement for the Sportsbook bonus. £30 Casino bonus credited within 24 hours of first sports bet settled. Casino bonus must be wagered 40 times. Betbright are one of a growing number of Irish bookmakers, in a fight to get noticed against the likes of Paddy Power and Boylesports. This is a bookie that is dedicated to online betting and have established themselves pretty well since the launch of their betting website in 2013. The sportsbook is one of the major attractions on the site, but there is a lot more on offer too. This includes sections for Casino, Games and Live Casino, as well as information sections for mobile and a blog. Navigating on the site is a good experience, and I was able to find everything I was looking for pretty quickly. I was joining the site as a brand new customer, and thus I was able to qualify for the Betbright sign up offer. This is only given to customers that have not bet with them before, as a way to entice new punters onto the site. By entering my personal details and creating an account I was able to deposit £20 and get a 100% matched bonus of £20 to use on the sportsbook. This was as well as a £30 casino bonus, which is a nice little bit extra. The terms of the offer said that this deposit had to be made within 4 days of holding an account. There were also wagering requirements added to the bonus, of five times the deposit and bonus amount combined. So I needed to wager £200 before I was able to withdraw any funds. The wagering also had to be done at odds of 1.8 or greater. I found that there were plenty of decent selections to choose from on the site, but the wagering does make it more difficult to come out with a good profit at the end of it, as opposed to other offers that just provide a free bet. As Betbright don’t have any shops on the high street, the only option is to place bets with them online. It is much quicker this way though, and I was able to place a number of bets in just a couple of minutes. 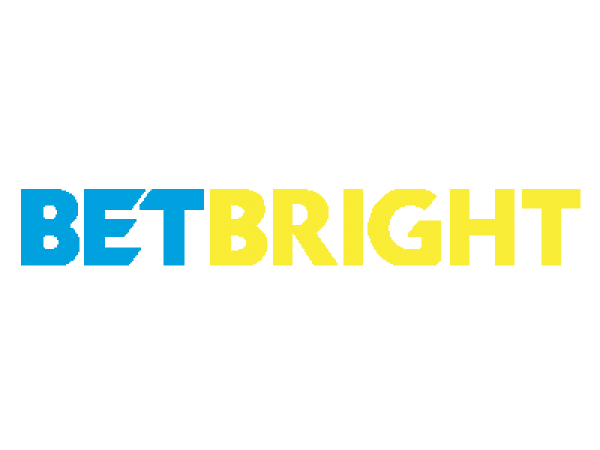 Betbright’s site has popular blue, yellow and white branding which jumps off the screen and gives everything a sleek look. I spent most of my time on the website on the sportsbook, and found that there was plenty on offer here. I found that there were betting opportunities available across a strong number of sports, which include; American football, Baseball, Basketball, Boxing, Cricket, Darts, Football, GAA, Golf, Greyhounds, Horse Racing, Ice Hockey, Motor Sports, Rugby League, Rugby Union, Tennis, UFC/MMA and Virtual Sports. I found that the number of markets listed for each sport was completely dependant on how popular that particular sport was. For example, Football matches usually have the most markets listed, with 36 markets available for the international friendly between Denmark and Panama. Though, some events for lower interest sports are limited to just Home/Draw/Away betting. Horse Racing betting has plenty to offer as well, with markets for all UK and Irish horse racing, as well as plenty of international meetings from countries around the world, such as South Africa and the USA. Ante post markets are listed for selected future races too, found under the ‘Future Racing’ tab. Remember that we offer free racing tips for today and selected other events. There are plenty of tennis markets on the site, both for smaller tournaments and the big grand slam events too. So if Tennis betting is your thing then Betbright may be the site for you. Cash Out is available on select markets for football, tennis, cricket, rugby league/union, darts, snooker, boxing, baseball, basketball, American football, and ice hockey. It gave me the option to either lock in a profit or cut my losses before the event is over, depending on whether my selection was in a winning position or not. The odds available on the Betbright website admittedly aren’t that great when compared to other top bookmakers. Their Football odds are not bad by any stretch of the imagination, but their Tennis and Ice Hockey odds do not provide much value and should probably be avoided. In terms of where the best value on the site can be found, it is often the case that Betbright will bring their odds in line with the market leaders for big Football matches that are broadcast on TV, such as the Sky Sports Super Sunday fixtures. There are often Betbright promotions too which can add value. In-play betting is also a big part of the site, and is featured prominently at the top of the page. It has its own tab at the top of the page, so it was really easy for me to find all of the in-play events straight away. There are quite a few sports available for live betting too, including Football, Tennis, Cricket, Cricket, Basketball, and Snooker. Football often has the most markets listed, while some events are limited to just one or two markets. Some of the most popular football markets that I was able to find in-play were Match Odds, Both Teams To Score, Over 2.5 Goals, Correct Score and more. A schedule of all of the upcoming events that will have in-play markets is available, so I was able to plan ahead up to an entire week, which was pretty useful. There are also some interesting graphics with accompanying stats, which helped me make more informed decisions. In-play stats were updated in real time and for football included the likes of corners, cards and possession. Live streaming was available on the Betbright website and I was able to benefit from the feature. There is a section of the site named BBTV and it is really easy to access, with its own tab at the top of the page on the desktop version of the website. I was able to place bets and switch between multiple streams on the same page. Horse racing and greyhound racing are the sports that were available to watch on the live streams. Before I was able to watch the races, I needed to be logged in and have placed a bet of £1.00 on a win single or £0.50 on an each way single on that particular event. BBTV provided me with a full race card with the form, jockey, trainer and some predictions. There was plenty of information and I had everything I needed to both place a bet and watch a stream. Being able to watch two streams at the same time was really unique and an excellent addition. The streams begin a few seconds before the designated start time of the race and will end once the race has finished. Though described as ‘live’ there is a slight delay of just a couple of seconds. I must point out that BBTV was only available on the desktop version of the Betbright site and unfortunately I wasn’t able to access the streams on a mobile device. Before I was able to go ahead and claim the Betbright sign up offer, I needed to deposit some real money funds into my betting account. It is important to note at this point that I am betting from the UK, and the payment methods I will be discussing may only be relevant for those of you that are in the UK too. When I first logged in and clicked on the + button next to my balance, I was taken to the deposit page. The available payment methods were then listed, which included debit cards, credit cards, Skrill, Neteller and PayPal. I decided to use a debit card to deposit, as I found that it was the best way all around. My card details were saved in the system to make it even easier for next time too, which was helpful when I needed to deposit funds quickly. All of the available payment methods were processed immediately, which means that the funds would be available to bet with straight away. There are no fees involved with any of the current payment methods either, which was a boost. The minimum deposit for card payments is £10, though for the other payment methods it is £15. Another major reason why I decided to deposit with a debit card was due to the fact that the terms and conditions of the sign up offer state that customers who deposit to their account via Skrill or Neteller will not be eligible for this offer. Only debit / credit card or Paypal deposits will qualify for this offer. Withdrawing funds had to be done with the same payment method as my deposits were made with. The minimum withdrawal amount is £10, and I was given the opportunity to cancel a withdrawal request on the same day if I wanted to. I was very impressed with the customer service options available on the site and there were plenty of different ways to get any questions answered. The help section is easy to find too, as there is a Support button at the top of the page. Once clicked, I was taken to the help centre, which included a number of answers to Frequently Asked Questions, with a search function. If you do not find the answer to your query, you can instead decide to contact a customer service representative via the live chat feature or via email by clicking ‘Contact Us’.